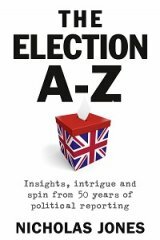 Nicholas Jones presents a personal A-Z of election highlights and insights from fifty years of political reporting. Covering everything from battle buses to Farage, Thatcher to Blair, calamities to the coalition, this is the ultimate guide to UK elections. "Jones provides a breathtaking account of one of the most exciting periods in British political history"